Come and join Minister for Women, Julie Anne Genter MP, and Wellington Deputy Mayor, Jill Day, for a lunchtime bike ride to celebrate International Women's Day. The Ministry for Women is seeking expressions of interest from interested individuals, academics, and representatives of non-government organisations to join the official New Zealand Government delegation to the 63rd session of the United Nations' Commission on the Status of Women (CSW). Hon Eugenie Sage, Acting Minister for Women, today announced 42 successful applicants for the Suffrage 125 Community Fund, at the Kate Sheppard Memorial in Christchurch. The Ministry of Justice is asking for feedback from practitioners in the family and sexual violence sectors about information sharing. At least half of the senior leaders in the public sector will be women by the end of 2019, and workplaces will be flexible “by default” are among goals in an Action Plan to eliminate the public service gender pay gap. The Minister for Women Hon Julie Anne Genter and Under-Secretary for Justice Jan Logie (Domestic and Sexual Violence Issues) have welcomed United Nations recommendations to take more action on progress for women. 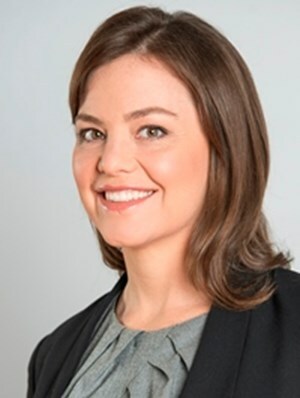 A report highlighting the barriers some single mothers face returning to work and navigating the benefit system shows the need for the Government welfare overhaul that has already begun, says Hon Julie Anne Genter, Minister for Women. Membership of all state sector boards will be evenly represented by women and men by 2021, Minister for Women Julie Anne Genter announced today. People across Aotearoa New Zealand can now apply for funding to celebrate 125 years of voting for women through the Suffrage 125 Community Fund. 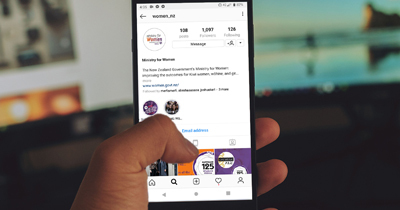 People across Aotearoa New Zealand will soon be able to apply for funding to celebrate 125 years of voting for women, the Minister for Women Julie Anne Genter announced today. New research by the Ministry for Women and online safety organisation Netsafe highlights rates of harmful online communications received by young New Zealanders in the last 12 months. "I congratulate Kristine on this wonderful recognition. It is indisputable that Kristine has made New Zealand a better place for women." - Hon Julie Anne Genter, Minister for Women. 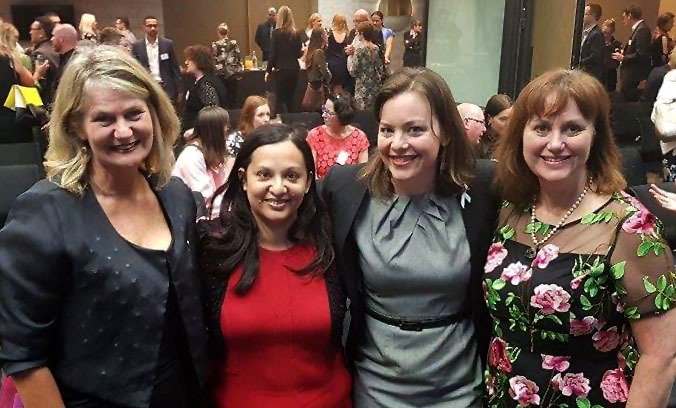 Hon Julie Anne Genter, Minister for Women, is encouraging organisations to celebrate the 125th anniversary of women’s suffrage with events and activities. The Briefing to the Incoming Minister offers an overview of the Women portfolio. Hon Paula Bennett, Minister for Women, has today welcomed a reduction in the gender pay gap of almost three percentage points. 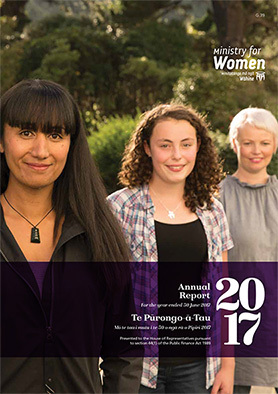 For the first time the proportion of women on New Zealand state-sector boards is above 45 percent, increasing from 43.4 percent in 2015 to 45.3 percent in 2016. Tomorrow, 8 March, New Zealand joins with other countries on International Women’s Day to support initiatives that are creating a better working world for women says Ministry for Women Acting Chief Executive Margaret Retter. The Ministry's Briefing to the Incoming Minister (BIM) has been published. A BETTER WORLD Vol 1 is a fully illustrated compilation of 80 UN countries' stories that show what they have done to empower women within the context of sustainable development. 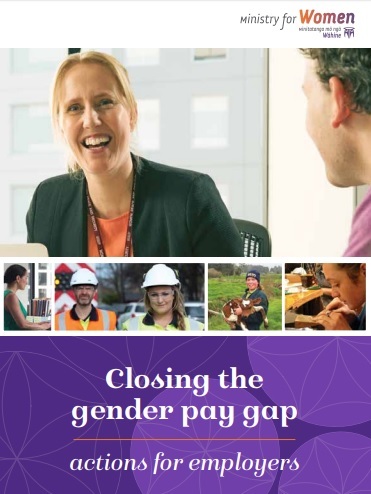 The New Zealand gender pay gap has risen to 12 percent (as measured by median hourly earnings as at June 2016 from the New Zealand Income Survey (NZIS)). Hon Louise Upston, Minister for Women, has named the new members of the reformed National Advisory Council on the Employment of Women (‘the Council’). Women in New Zealand are slowly but surely making inroads into industries that were previously closed to them. Are you leading gender change in your organisation?